There are three things I really enjoy about the Holiday season: doing Christmas things with loved ones, the Granville Island Brewing Company’s Lions Winter Ale and the ability to have a few days off to just wrap myself up in a toasty blanket and play some video games. While any type of video game is a good time, there are certain genres and titles that I feel are ideal for this sort of situation. Long, free-form open world games with a ton of collectibles tend to be my go-to; something that I can just wander around in doing what I please. Skyrim was the perfect game for this a couple of years ago, doubly so because it had the wintery atmosphere to go with it. I also like a good first-person shooter multiplayer with a ton of unlocks and progression for when I need something a bit more action oriented. What about you guys? When the weather gets colder and you have a few days off, what are the types of games that you like to play? Go! I finally finished Skyrim this past weekend. Not entirely, mind you. I didn’t 100% it or anything crazy like that. But I finished what I wanted to out of it, which was the Thieves Guild, Dark Brotherhood and the main quest lines. I put 65 hours into it, got to level 37, plundered tons of caves, stole EVERYTHING from everyone I could and slew more than my fair share of dragons. I got more than my money’s worth out of the game. Indeed, if you do the math, I got more than an hour for every dollar I spent on it. Bethesda may be buggy, but they give you the bang for your buck. Now though, after hours and hours of juggling weight limits (the most annoying thing about the game), arrows in knees and killing falmer, I am done. I love the game, but there comes a time when you have to put it aside for a while and I have reached that point with Skyrim. It’s such a massive game that I wish there was a 6 month moratorium on all new releases so we all could really delve deeply into its dense dungeons. I started and stopped that game several times since I bought it on Day 1, but it’s all over now. I might go back to it sometime, but no time soon, I can assure you. The biggest obstacle on my backlog is gone and I feel lighter for having it removed. 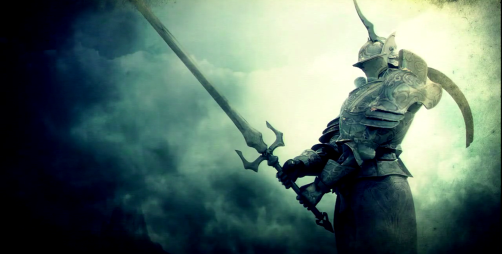 On to greener pastures…like finally finishing Dark Souls…oh God. What about you guys? Did you get your fill of Skyrim? Is there any game on your backlog that hovers over you like a scythe? What do you need to finish before the fall onslaught hits? Half of 2013 has come and gone, and maybe it’s just me, but this year already seems like it’s offered us some huge surprises — almost too many, if my nasty backlog is any indication. Fortunately, July is the month that we can sort of start catching up, putting old titles behind us in preparation for the blitzkrieg of the fall. That’s not to say there aren’t any new titles worth playing, though. Between The Last of Us, Animal Crossing 3DS and Company of Heroes, we’ve had our hands full. You’ll see these guys making appearances in our monthly top 10, along with some old classics. So here we are, the top 10 games we’ve been playing for the last 30 days. As part of our summer schedule, I’m happy to bring you guys a new edition of What We’re Playing. Like I imagine many of you guys are doing, I’ve been diving headlong into an ancient backlog for the time being, partly because there’s a break of game releases (besides the Last of Us, of course) and partly because I’m preparing to auction off a few items in preparation of new console releases. 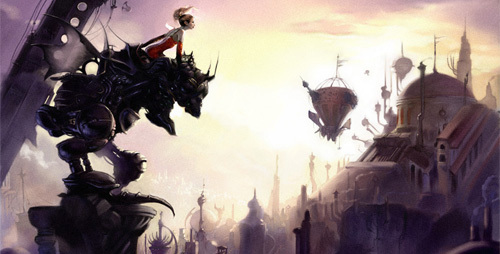 Next up on my list: Final Fantasy VI. Dragonborn Sushians, hark! For Did You See This Wednesday, we’re pointing you to one of many hands-on previews that press outlets scooped this past week with Bethesda’s upcoming MMO of their popular RPG series, The Elder Scrolls. It’s Pixel Count Tuesday, Sushians. Let’s cast us some ballots. Every generation represents a new set of hurdles for the medium (or art, if you’re feeling fancy) of video gaming. In the current generation — and yes, I do include PC games in this — I think the most obvious hurdles we’ve cleared have to do with graphics, the ease of connectivity and huge, immersive universes. Within the last few years, it’s easier to play with friends than ever before, or even talk to them across games. I can share games with them on Steam or track their progress through PSN or XBL. Games like Skyrim, Borderlands 2 and Arkham City have given us amazing, huge worlds that we can interact with, and feel like we’re a part of. The Uncharted series and Red Dead Redemption have given us high-caliber storytelling and some memorable vocal performances. But do I think all of these things are perfect? Not by any stretch. The medium still has plenty of growing up to do in terms of what it can achieve, in any number of arenas. Today’s Pixel Count poll is a big one, representing what I think are the biggest hurdles that gaming still has in front of it. So, if we’re entering the next generation soon, which of these do you think is the most important issue, from a player’s perspective? Vote and tell us what you think in the comments! What do games need to accomplish in the next generation? It’s crazy to think that we’re almost a year out from Skyrim’s launch and we’re still getting DLC for it. Bethesda’s long-term commitment to their games this gen have been nothing short of astounding, at least where Xbox 360 and PC users are concerned. That aside, the trailer for the upcoming Dragonborn DLC for the Elder Scrolls V: Skyrim is out and it features a whole host of new features and areas. Personally, I haven’t played any of the DLC for Skyrim, but Dragonborn looks like it will be a pretty meaty add-on, so I might consider picking this one up. In reference to the PS3 joke above, how do you PS3 owners feel about how Bethesda is handling the DLC for Skyrim? 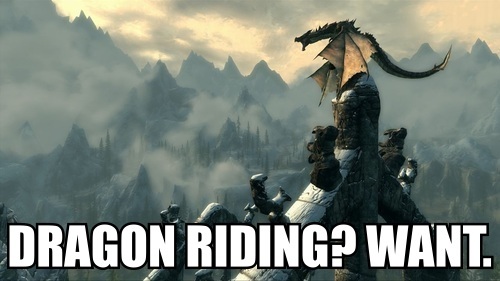 I hear that Dawnguard doesn’t even have an ETA yet, and who knows how long it will take to get Dragonborn. What are your thoughts about the DLC? Are you in for more Skyrim? 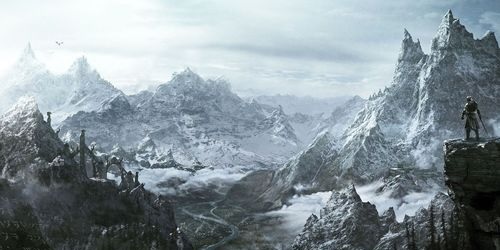 With Skyrim recently continuing the trend of giving Bethesda the Game of the Year award it makes sense to assume that The Elder Scrolls franchise really has what it takes to produce some truly amazing games. The single player RPG world has captivated players since Arena, taking you into a deeply immersive world of Tamriel. While The Elder Scrolls series is one that has been a smash hit as a single player game, the question always came up about how it would fare as an MMO, leaving some fans drooling over the prospects of exploring the lands with a party of their best friends. Well today it’s official, Game Informer has released an article teasing readers about the June cover article which features a first look at The Elder Scrolls Online. Tomorrow morning there will be a trailer from Zenimax and Bethesda Softworks, with screenshots coming later in the evening. All of the information going onward can be tracked at Game Informer’s own Elder Scrolls Online hub, which will be giving out exclusive content multiple times a week. As a major fan of The Elder Scrolls series, I meet this news with an open mind, but a cautious approach. I have always wanted a way to play around the world of Skyrim or Cyrodiil with friends, but the full-blown status of an MMO is something I have debated before. This could spell great success for the series, but a different production studio and a new feel to a game that has made all of its success as a single player RPG could spell trouble. I’ll wait to see more information before I give final judgment, but this news has to have many gamers foaming at the mouth. So what do you guys think? Is it good that The Elder Scrolls is going online? What’s your opinion on the game being produced by Zenimax? Lets hear it! Freddie Wong is at it again, but this time he takes his hijinks to the wonderful world of Skyrim. Imagine if the game allowed you to pull off some sweet finishing moves, dragon headshots and dap it out with your foes. Basically, if the game allowed you to be a badass. I really shouldn’t introduce it anymore. You should just watch it. As you guys know, I’m really not a huge fan of the viral video/effects showcase formula, but Freddie Wong is on a different plane than everybody else trying to do it. He’s clever, fun, produces tons of content and knows how to keep the gags simple and sweet without overstaying his welcome. In short, he’s awesome, and this is one of my favorite sketches of his yet. What are your thoughts? Is Freddie Wong a Skyrim badass? Go! GamerSushi Asks: Are 100 Hour Games Necessary? With the price of games on the rise, so too have a series of complaints risen around the idea that longer games generally mean better games. In particular, RPGs are expected to be bloated to colossal lengths, from the Elder Scroll series to Mass Effect and even Fallout 3. Gamers want more game for their money, more world to explore, more weapons to collect, more foes to conquer and more time to invest. But is this always a good thing? In a rather interesting (if somewhat controversial) review of the game Dark Souls, Slate writer Michael Thomsen wonders if 100 hour games are a waste of time for gamers instead of a boon to their hobby. Even though I haven’t played the game, and always hear the opposite of his assessment of it, I do have to say that I find his prodding question to be thought-provoking. Honestly, there’s so much that people can accomplish in the amount of time it would take someone to clamber through all of Skyrim – but does that mean that it’s pointless for the person that enjoys it? It seems that Thomsen would argue that yes, it is. In his view, it’s never necessary for a game to take 100 hours to tell its tale, and that many games have done better with far less time. When put that way, I do have to agree: some of my most favorite games have accomplished what they did in around 20 hours or so, without ever overstaying their welcome. So, while I’m not sure I’m on board with everything this article states, I did want to kick the question to you guys: are 100 hour games just a waste of time? Go! Posted on February 29, 2012 Author EddyCategories Adventure, GamerSushi Asks, GamerSushi News, Gaming Theory, Playstation 3, RPGTags dark souls, fallout 3, mass effect, skyrim, slate, video game length9 Comments on GamerSushi Asks: Are 100 Hour Games Necessary? GamerSushi Asks: Jamming with Skyrim? Apparently this is the week where all of our wildest gaming dreams come true. OK, that might be stretching it a bit, but at least a few of our gaming wishes seem to be coming to light. Between Battlefield 3 rumors, Double Fine’s Kickstarter Adventure and Notch talking Psychonauts 2, we’ve got kind of a lot of things worth salivating over. But that’s not all! You see, DICE 2012 is underway right now, featuring a number of sessions from well known people in the field of interactive entertainment, including none other than Skyrim boss Todd Howard himself. Last night, Todd Howard gave Skyrim fans the world over a bit of a tease, something to get their heads spinning as we look forward to future DLC. The Skyrim Game Jam is a week-long project where developers at Bethesda were challenged to come up with and implement one feature that they’d love to see in the enormous open-world RPG. While Howard cautioned that some of these things are just tests and might not ever see an actual release, the possibilities are enough to keep people excited about where the game could possibly go. Howard showed a reel which boasted all the things that the developers came up with in just one week’s time, ranging from mounted dragons (!) to seasonally changing foliage. Go ahead, see for yourself. Although this power gets abused quite a bit, it’s still pretty cool that we live in a time where developers can retroactively incorporate fresh new additions to gameplay that might need some polishing. So my question to you guys is this: which of these features would you actually want to see in the final game? Also, if you could add a reel of features like this to any other game, what would you do? Go! Posted on February 9, 2012 Author EddyCategories Classics, FPS, GamerSushi Asks, GamerSushi News, Gaming Theory, Industry News, PC, Playstation 3, RPG, Video, Viral, XBox 360Tags bethesda, dice, skyrim, skyrim game jam, Todd Howard, video game wishlist5 Comments on GamerSushi Asks: Jamming with Skyrim? Back at the end of 2010, a glance at 2011’s calendar either sent gamers into a fit of excited trembling or utter despair. How were we going to play all of these games? What surprises were in store for us? Which ones were going to be worth the money? Could the long-awaited sequels live up to the years of promise? At the beginning of 2012, we now have all of those answers and then some. And thus, the GamerSushi Top 10 Games of 2011 list is born. It sounds like we’re using hyperbole, but we truly feel like 2011 was one of the greatest years of gaming we’ve seen in quite some time. That much is evidenced by each staff member’s ballot – the submissions we used to determine our final top 10 (and yes, your votes for Game of the Year counted as one of our submissions, as well) were wildly different and full of an astounding variety of games. One thing was certain – gamers had a wealth of choices last year, and everyone benefited from it. So, without further ado, here is our list of the top 10 games of 2011. Enjoy, dudes. After the long-awaited arrival of last week’s video podcast, many of you expressed your wishes that we not wait so long before the release of the next one. Well, for the first time in my life, I’m afraid I won’t be disappointing all of you – here’s a brand new podcast, fully of shiny gaming stories, GamerSushi memes and all kinds of other wonders. This podcast brought us the monumental task of trying to recap an entire season’s worth of games, ranging from Bastion all the way to Skyrim. We used this as an excuse to try out a new game, Lightning Round, and I think all of you are going to be happy with the results. It was a nice way to run down a staggering list of games in a way that didn’t take 87 podcasts and two years of our blabbering to cover. GamerSushi Asks: Games You Played in 2011? Man. We are straight up milking this 2011 thing, huh? You’d think that we had nothing better to talk about for 2012 with the way we’re going back to that well. Don’t worry, we realize that we can only get a little bit more mileage out of last year, and probably only another week or two at that. That being said, the following question is one that I legitimately want to ask you guys, because I like hearing what you say about games. The title for this post is extremely self explanatory. I want to see a list of all the games you played in 2011. This will be cool for two reasons: 1) It gives us an idea of what kinds of stories to target/write and 2) you guys are pretty cool yourselves. What follows is a list of games that I played in 2011: Continue reading GamerSushi Asks: Games You Played in 2011? Posted on January 14, 2012 Author EddyCategories Features, GamerSushi Asks, GamerSushi News, listsTags batman arkham city, skyrim, uncharted 313 Comments on GamerSushi Asks: Games You Played in 2011? VGAs 2011: All the Winners! Ah, the VGAs. The time of year when game enthusiasts far and wide go through the tumultuous turns and dives of the hype train. Bandied about by double speak and cryptic front man Geoff Keighley, we willingly jump into that nexus of marketing, full of fake celebrities, very few awards and some lame jokes – and all for what? For glimpses of what we can expect out of the next year from our favorite past time. For all of the complaints that people throw against the VGAs, I do have to say that I enjoy the outcome – actually having something to look forward to for the following year. Last year, we got excited about Skyrim, Mass Effect 3, Uncharted 3 and then some. I’m not saying they’re perfect. But they do what they’re designed to do – hype games. Anyway, soapbox aside, one of the other purposes of the VGAs is to do just that – hand out video game awards. This year, a number of great games and studios took home the awards. 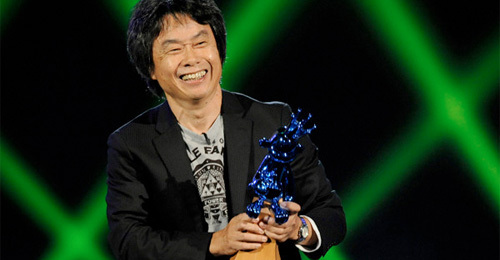 They even honored Miyamoto as the first inductee into the Video Game Hall of Fame. I thought I’d paste all the goings-down here so you could voice your quibbles and rants. Full list of winners after the jump! Continue reading VGAs 2011: All the Winners! Posted on December 12, 2011 Author EddyCategories GamerSushi News, Gaming Theory, Industry News, PC, Playstation 3, VGA 2011, Wii, XBox 360Tags skyrim, spike video game awards 2011, vga 2011 award list, vga 2011 winner6 Comments on VGAs 2011: All the Winners! GamerSushi Asks: Lost in Sidequests? I’ve got a problem. It’s been well documented on this site and in our podcasts, but I should reiterate: I’m an RPG completionist. I’m OCD in a way that is truly tough to convey to people who can’t open up my head and take a peek inside. From the largest weapon to the smallest task, I’m trying to do everything, see every nook and cranny of even the hugest open RPG world until its boundaries feel like shackles and I’ve got nowhere left to go. Such is the case with Skyrim. You see, I’ve put about 50 hours into the game so far, and I’m sitting pretty at about Level 43. And I’ve only recently just gone to High Hrothgar for the first time. If you’ve been playing the game, you know that most people go do this just south of Level 10, but not me. I’m an overpowered badass that’s been running all over the place doing the bidding of every peasant and lowlife that needed ferrying or dungeoneering. It’s really hard to pinpoint the root cause of this obsession, and even harder to curtail it once it sets in. Something about the way my personality works just causes me to get lost in side quests. I thought I’d take this opportunity to ask how you guys handle side quests versus main quests. While side quests are really meant to help you level between the main or perhaps give you something to do once you’ve beaten the game, I tend to use them to make the main ludicrously easy for myself. How do you guys approach them? Go! Posted on December 8, 2011 Author EddyCategories Adventure, FPS, GamerSushi Asks, GamerSushi News, Gaming Theory, PC, Playstation 3, RPG, XBox 360Tags elder scrolls, RPG, side quests, skyrim12 Comments on GamerSushi Asks: Lost in Sidequests? 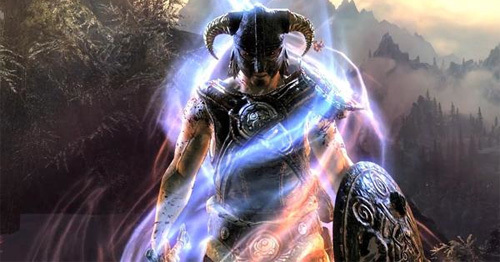 Skyrim has been out for just over two weeks, even though it might feel like you’ve already put a lifetime into that game. For those of us playing on the PC, we have the added benefit of modding our expereience and the kind folks over at PC Gamer put together a list of the 20 best Skyrim mods as of right now. If you’re playing on consoles you had best look away, lest you get all jealous like. Modding is nothing new to Bethesda games as Oblivion and the two Fallout titles have seen a slew of great user-created enhancements, and Skyrim is shaping up to top all of them. Included in PC Gamer’s list are things like a fully 3D map, a crafting enhancement where you can melt down pots and pans into usable ore and several custom tweaks that improve the faces of NPCs right down to their lips (seriously). There’s even a couple goofy ones in here like the one that replaces the spiders with other creatures like bears but keeps the animation model so you have a giant bear scuttling towards you like a spider. This is just the beginning, though, as I’m sure that there are plenty more of these in the works. You may think that my image for this post is a joke, but oh no, someone is actually working on a dragon riding mod. So, Skyrim PC gamers, what do you think? Any of these mods catch your fancy? Anything that blew your mind? I didn’t think that the water in this game could get any nicer looking, but I learned a thing or two from these mods. Like this post? 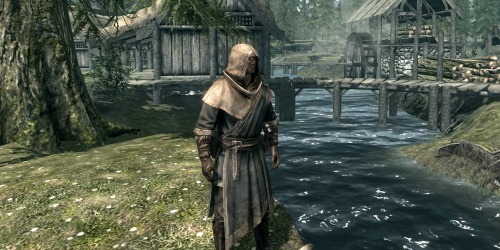 Check out more GamerSushi Skyrim content, including our review, a podcast, Skyrim secrets and more!